HOW DO I APPLY FOR A ONE HAPPY CAMPER GRANT? Step 1: Register your child at camp. In order to be eligible for a grant, your child must be registered at a camp listed on the Foundation for Jewish Camp’s website. 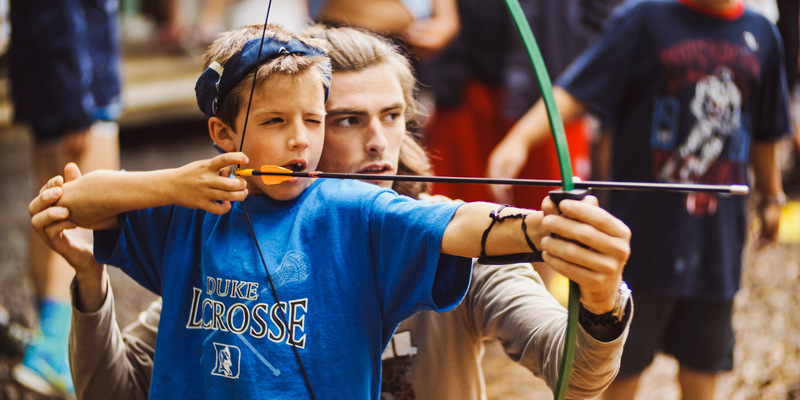 While some community and regional-based programs limit the list of eligible camps only to camps in their region, most programs allow campers to attend any camp listed on our website. For more information, please contact your local program provider. Step 2: Apply for the grant using our online application. Once your child’s registration at camp has been confirmed and the grant application has been approved, funds will be paid directly to the camp listed on your application and will be credited to you in the form of a tuition deduction. If you cancel your child’s registration at camp, the funds will be returned to us and your local program sponsor. WHAT ARE THE ELIGIBILITY REQUIREMENTS FOR THE ONE HAPPY CAMPER PROGRAM? Campers must be attending and registered for a camp listed on the Find-a-Camp tool on Foundation for Jewish Camp’s website. Please check with your local program provider for exceptions and restrictions. One Happy Camper grants are intended for children who are not currently participating in a daily immersive Jewish experience. As such, children attending a Jewish day school or yeshiva are typically not eligible. However, select partners may have some resources for Jewish day school children. For more information on your community or camp’s specific criteria, please contact your local program provider. Apply now to find out if your child is eligible. WHAT IF I DO NOT LIVE IN A COMMUNITY THAT IS RUNNING A ONE HAPPY CAMPER PROGRAM? With nearly 70 One Happy Camper programs, it’s still possible for your child to qualify for a One Happy Camper grant. As part of the PJ Goes to Camp program (a partnership between the Foundation for Jewish Camp and the Harold Grinspoon Foundation) PJ Library children may qualify for a PJ Goes to Camp – One Happy Camper grant. These grants are available to first-time campers who are members, alums, or have a sibling who is a member or alum of The PJ Library Program and do not qualify for a community-sponsored program. For more information please contact the PJ Goes to Camp coordinator at pjgtc@hgf.org or 413-439-1935. Please note that PJ Goes to Camp grants for day school students are limited and will be distributed through a lottery system. Click here to learn more. Over 60 individual camps (including many movement based camps) offer their own One Happy Camper grants to children attending their camps. I you are planning to attend any of these 60+ camps, and do not qualify for any of the other One Happy Camper programs, you may be eligible for a grant through your camp. See if your child’s camp is on the list. Please remember: You are not permitted to receive more than one incentive grant affliated with the Foundation for Jewish Camp’s One Happy Camper program. HOW DOES THE PJ LIBRARY GOES TO CAMP ONE HAPPY CAMPER PROGRAM DIFFER FROM ALL OTHER ONE HAPPY CAMPER PROGRAMS THAT MY COMMUNITY AND/OR CAMPS SPONSOR? PJ Goes to Camp is a partnership between the Foundation for Jewish Camp and the Harold Grinspoon Foundation, and is designed to serve as an extension of The PJ Library experience, inviting PJ Library families to consider overnight Jewish camp. Since each child can only receive one One Happy Camper incentive grant, the PJ Library One Happy Camper grant is available to any PJ Library family member (member, alum, or sibling)not served by a community-based program (e.g. a federation-sponsored program). Children fortunate to live in communities whose federation sponsors a One Happy Camper program will receive a grant from their community sponsor. Please note that PJ Goes to Camp grants for Jewish day school students are limited. To learn more about The PJ Library and/or the PJ Goes to Camp program, click here. CAN I APPLY FOR THE GRANT BEFORE I ENROLL MY CAMPER IN CAMP, OR MUST I DECIDE ON A CAMP SESSION BEFORE APPLYING? You must register your child at an approved overnight Jewish summer camp (use our Find-a-Camp tool to see a list of these camps) in order to complete your online application. If you have questions about your camper’s eligibility or need help selecting an appropriate camp, please contact your program provider. HOW DOES THE APPLICATION DETERMINE WHICH PROGRAM IS RIGHT FOR ME? Based on the information you provide using our online application, such as where you live (zip code), your child’s grade (after camp), and school (before camp), the system will determine the program that is best suited for you. CAN I APPLY FOR MORE THAN ONE ONE HAPPY CAMPER GRANT? While your child may be eligible for more than one incentive grant, s/he can only receive one grant that is affiliated with the Foundation for Jewish Camp’s One Happy Camper program. This includes, but is not limited to, the PJ (Library) Goes to Camp – One Happy Camper program, the Harold Grinspoon Western Massachusetts camp incentive program, and/or the various community-based and camp-sponsored One Happy Camper programs. CAN I RECEIVE FINANCIAL AID IN ADDITION TO A ONE HAPPY CAMPER GRANT? A One Happy Camper program grant is not a scholarship, nor is it needs-based. As such, receiving a grant does not preclude you from receiving scholarship aid from another source. To view an online directory of over 80 scholarships, please click here. There is no official deadline, but a limited number of grants are available and once they’re gone, they’re gone! Please contact your local program provider to see if there are any limitations on grant availability, and make sure to register for camp and apply for your One Happy Camper grant as soon as possible. HOW LONG WILL IT TAKE TO BE NOTIFIED THAT MY GRANT APPLICATION HAS BEEN APPROVED? Please allow four to eight weeks for your child’s camp to receive confirmation of the grant approval. Once your child’s camp registration has been confirmed, funding will be sent directly to the camp starting in late spring and continuing through the summer.To track the status of your grant, return to the application log-in page, sign in, and click the “Check Application Status” link. For specific questions, please contact your local program provider. I WORK AT AN ORGANIZATION THAT IS INTERESTED IN BRINGING A ONE HAPPY CAMPER PROGRAM TO MY COMMUNITY. WHO SHOULD I CONTACT FOR MORE INFORMATION? If you are interested in bringing a grant program to your camp or community, please contact Rebecca Kahn. I STILL HAVE MORE QUESTIONS. WHO SHOULD I CONTACT? If you have more questions, please contact the person administering your community or camp program. If you live in a community that is not listed or your camp is not co-sponsoring a One Happy Camper program, please contact us at the Foundation for Jewish Camp: onehappycamper@jewishcamp.org.